PokerStars’ push to innovate and bring more casual players into the game may be set to take another step forward if it’s latest product performs well in its testing phase. 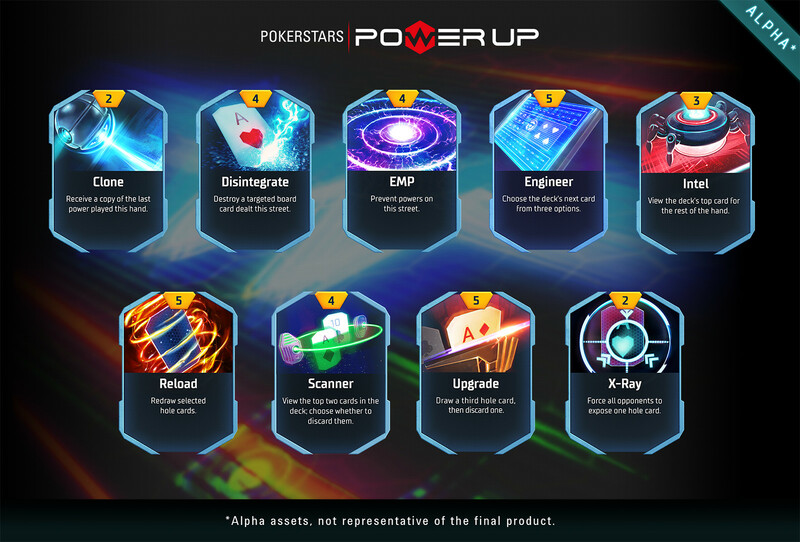 Announced in a press release on February 14 and explained in more depth on the site’s official blog, PokerStars Power Up Alpha is a version of Hold’em that brings a new level of entertainment to the table. Currently in closed Alpha testing, the game has been in a developmental stage for many months and, judging by the promo video, it looks as though it could radically alter the dynamics of poker. At this stage, Severin Rasset, Director of Poker Innovations & Operations at PokerStars, hasn’t given too much away in his blog piece. But what he has said is that Power Up Alpha will give players the ability to “influence how hands play out” through a combination of cards, boards, chips and special powers. 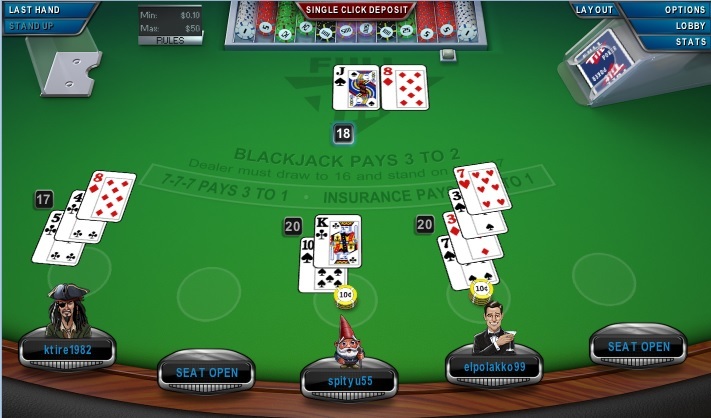 One notable part of the game’s development is that PokerStars has used focused groups featuring experienced poker players and gamers. While the use of real money players is obvious, bringing in seasoned gamers certainly jives with the industry’s current push to align poker with the eSports community. Looking at the video, which you can see below, each Power Up table looks more like something out of the Final Fantasy series than a traditional casino. Similarly, the power-up tokens look as though they’re directly inspired by some of the leading console games from the last decade. According to Rasset, a lot more features will be added to the game in the coming months and “real money games are still a long way off.” What he did say, however, is that this innovation falls into PokerStars’ “game changer” category. While certain games such as Beat the Clock and KO Poker have been seen as an “evolution” of the traditional game, Power Up is meant to redefine our perception of it. If Power Up does strike the right balance between poker and gaming, it should not only help reengage dormant players, but bring in new ones. According to the latest stats, eSports was worth around $463 million in 2016 and by the close of 2017, it’s predicted to generate $696 million. The marked growth of eSports has gradually started to pique the interests of poker companies over the last two years. The Global Poker League’s Cube credits a lot of its features to the eSports community and it seems as though Power Up poker has done the same. In fact, add to this recent PokerStars/Team Liquid and 888poker/Flow Esports collaborations and it’s clear the two industries are becoming increasingly linked. With this being the case, PokerStars’ latest innovation could signal the start of a new era for the online poker industry.